Loop-It Yarn by Red Heart Yarns is a fun fiber that requires no tools to create some amazing projects! I created this Loop-It Pom Hood in a few short hours using a criss-cross weave technique that is easy to follow. This is perfect for all ages children to adult, perfect to dabble with a new flavor of yarn, perfect for occupational therapy and helping with fine motor skills. So much in one great product! Grab some Loop-It yarn and give it a go!! I am trying something different with this project. Look how cool the woven pattern looks. Use this technique for scarves, hats, cowls, blankets and more! The incredible softness is absolutely luxurious, and it is a fun yarn to work with!! You can even get your kids to join you on this project!! Follow along with this video tutorial to learn how to make this project!! There is no written instructions for this pattern as it is so easy to make using the concept shown in the video. Just by criss-crossing the loops and pulling loops from the back to the front, you can make a very interesting design! SEE THIS TUTORIAL ON FACEBOOK!! I’ve been receiving my KnitCrate for several months now and I cannot tell you how exciting it is to get a surprise in the mail every month! I have the KnitCrate Membership which includes free shipping, a knitting pattern, a crochet pattern, 2 skeins of premium yarn, and coupon codes for more yarn! As a member of KnitCrate, I automatically get 25% off all their merchandise featured on their shop! See more information about KnitCrate here! Shipping is always free with every subscription, both domestic and internationally. The KnitCrate Membership is the most cost effective option at $24.99 per month. It includes 2 skeins ($48 retail), 1 knitting pattern by an independent designer ($5 retail), and 1 crochet pattern by an independent designer ($5 retail). There are other Crates as well for knitters: The Artisan Crates and Sock Artisan Crates feature skeins of yarn by independent dyers and knitting patterns by independent designers! If you are interested in subscribing to this monthly yarn surprise, use coupon code YARNUTOPIA20 to get 20% off your first month!! You can cancel your subscription ANYTIME!! It’s so simple!! Oh, it’s after 8am! Sorry I just had a little *hic-cup* this morning, but here’s today’s pun! Better *latte* than never! So we are halfway through our Valentine’s Day puns! *Cool Beans* you guys! Words can’t *espresso* how much it *beans* to me to share this *creativi-tea* with all of you! I *mug* continue to be motivated and finish out this stretch! Today’s project is an exercise in *simplici-tea*–here’s my Open Heart Cup Cozy. I had a different idea when I started (I frogged it) but I always say “if at first you don’t succeed, *chai, chai* again.” This project is great way to tell teachers, colleagues, and friends how *tea-riffic* they are! Add some special *blends* and give the gift of *tranquili-tea* to someone you care about! Not sure if you want to try this? I say go ahead and *brew* it! The Open Heart Cup Cozy will be on the blog later today. Now I think I might go crochet and listen to some Fleetwood *Mac-chiato*. Ok, too far…😂😂 *Cough-ee* #sorrynotsorry Doing this for y’all is like living la vida *mocha*. Seriously, I’m done now. Rnd 1: SC in 1st ch to form a ring, *Ch 1, Sk 1 ch, SC in next ch, repeat from * around. Rnd 2: * SC in ch 1 sp, Ch 1 Sk st, repeat from * around. Are You Hooked on the Eclipse? I took the day off from work and filming in the studio to attend an eclipse viewing event here in Central Wisconsin. This was a free community event that was hosted at our local high school. The event coordinators passed out special glasses so everyone could view the eclipse safely. They had pinhole boxes, telescopes reflecting the eclipse and other viewing devices to make this a pretty spectacular viewing event. There were about 200 people in attendance from our small community which made this even more exciting to share it with others as equally eager as we were. Central Wisconsin was at its peak of 83% totality at approximately 1:13pm CST. The moon left a small crescent of sun still peeking out from behind it before things began to slowly brighten up again. We did not experience complete darkness, but we did have a dusk-like light and definitely experienced a drop in temperature cooling things by several degrees. I have to admit, as someone who is fascinated by our solar system, astronomy, and space/universe in general, I was a pretty excited to experience this cosmic event. It makes you feel small in such a vast universe. My dad, who we all know and love for his behind the camera work in our videos, was once again behind the camera during this event as he tried to capture small clips of the various stages of the eclipse. He was able to capture a couple pretty remarkable photos of it as well. Since the event at the high school began nearly 2 hours before the actual eclipse would occur, we brought blankets and lawn chairs as well as a picnic lunch to make our viewing party even more fun. I also brought along my crochet project presently in the works. I am in the process of designing a mesh tunic for under Nate’s Halloween costume. I’m never far away from a project, so it was inevitable that I would pull out my latest project to work on during the time before viewing the solar eclipse! I have to say, this was an above average viewing event and not one bit boring even if it was not full totality. I loved that the weather cooperated. It was a beautiful sunny 78 degrees Fahrenheit with very little cloud coverage which made visibility pretty neat. I’m happy to say that I lived to experience this in my lifetime as the last one was nearly a dozen years before I was born. It was “totality” worth it! What a memorable day this was! Where were you viewing from and what did you see? What was on your hook while the moon passed over the sun? Share your Eclipse story in the comments! Enjoy a few clips from today’s view from Central Wisconsin, USA. When I arrived in this world, I am told, I was born with a paralyzed side of my face and the inability to open my left eye. From early photos, I always was the one with the very strange expressions and an odd look on my face. My mom always told me how beautiful I am and said it didn’t matter that my eye wouldn’t open, and God made me that way so everyone would think I am giving them a *wink* and fall in love with me. That is how my mom is. She sees the bright side in things. She is looking for the good in every situation–the silver lining–no matter how difficult life could be, she taught my brothers and me the same. Imperfections and differences make you beautiful, and that same thought applies to each piece I make by adding some “imperfect” characteristic. We never had much, but we always had enough, and we always appreciated everything my parents were able to give us and make happen for us. I was given a strong work ethic, and that is why I do what I do by pouring my heart into each stitch of every piece I create. I could easily be doing any job and the same ethic would apply because it has been instilled in us by a mother that insisted we do the work. We learned how to cook, clean, pick up after ourselves and do laundry from a young age so we could appreciate how hard it is and never take people or things for granted; to have pride in doing and completing a job right from the beginning so we didn’t have to do it again and again. My mom has walked with me through my journey with Crohn’s disease, and with each step, she has promised that I will never be alone as long as she can draw breath. She is responsible for my love of crochet when she handed me my first crochet hook and ball of yarn and taught me this craft. Little did she know how much this would mold my life and become a lifeline and a form of therapy for long hospital stays. To have the support and love is a gift I shall always cherish. But more than that, I realize I will never be lonely with her by my side, to look for the good and positive no matter what the situation, never feel sorry for myself, and that I always have a forever friend. My mom is not like other moms. She and I have been through so much in this life. Whenever my brothers and I have troubles or burdens, it’s easier to bring them to my mom and she takes them away and makes everything better. My mom has been by my side at every hospital stay, every doctor visit, every medical test, even when doctors couldn’t help me, she helped me get through it all. I will never be able to thank my mom enough for all that she has done, is doing, and will do for me. My mom is my best friend. I wouldn’t be who I am today if it weren’t for her. My mom never gave me any idea that I couldn’t do what I wanted to do, or be who I wanted to be. She has taught me to have appreciation in everything I have and never take anything for granted. She has taught me how to love unconditionally, and she inspires me every day to make a difference in this world, even if it’s to help few or many. She is my biggest fan, and she is the closest thing to Superwoman anybody could ever be. Please join me in wishing her and all the other moms (and dads or role models who fill those shoes) a fantastic day! It’s a thankless job sometimes, and you deserve more than one day of recognition. If you crochet, you know what I’m talking about. 1. Where I go, my yarn goes. 2. Hate sewing in the ends! 10. Never having enough yarn! If you can relate to more than half of these statements, crochet is definitely a dominant part of your life!! Hook on! Over the years of my crochet career, I am often caught off guard by some hilarious crochet humor and have been known to share a few of these memes from time to time. 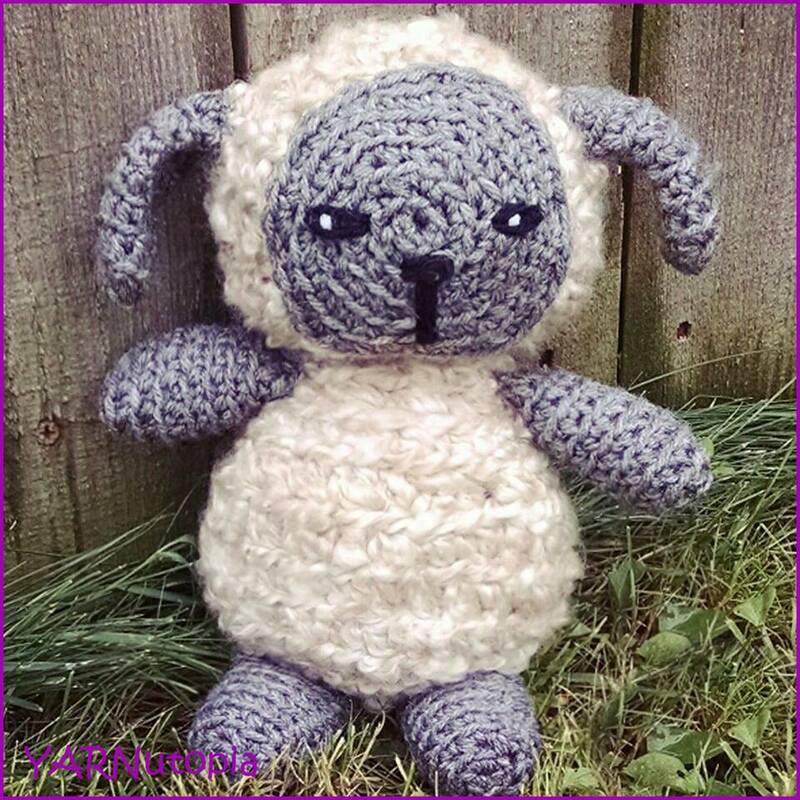 This blog is a compilation of some very funny graphics depicting how comical crochet can truly be! These posts will really send a chuckle through the crochet community! I know there are many of you that can relate to these humorous lines! I like to knit also, but this one is too funny to pass up! And I’m prancing all the way there! Have you ever tried to knit or crochet your noodles? Friday night fun! I party like a rockstar! A crochet rockstar! This wasn’t very nice, but I laughed so hard!! Whenever you feel the need to get a good laugh, come back to this post. Feel free to click on any photo and save it to your device and share it with all of your friends! Do you have a funny meme or photo that is related to crochet? Share it on the Facebook page!